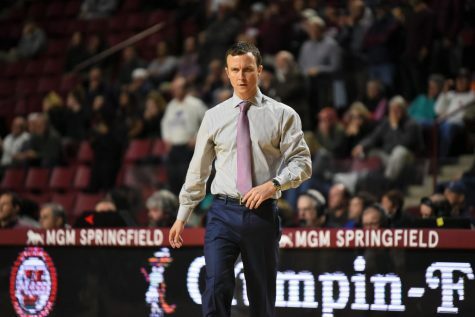 Coming into Wednesday night’s matchup against Dayton, the dominant narrative for the Massachusetts men’s basketball team was the disparity between its non-conference and Atlantic 10 conference play. 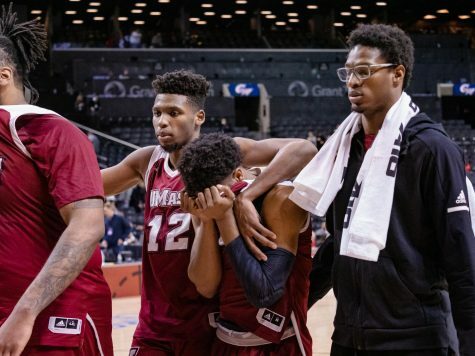 After finishing non-conference play with a 10-3 record, UMass (11-6, 1-3 A-10) couldn’t find the same success once it began A-10 play dropping games to St. Bonaventure, George Mason and Virginia Commonwealth, respectively. 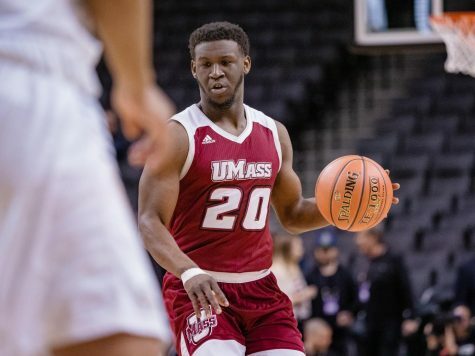 Wednesday night’s game certainly wasn’t perfect for the Minutemen, but it was enough for UMass to make a statement as it topped a Flyers 67-55 at Mullins Center. Dayton entered the matchup tied for the top spot in the A-10. 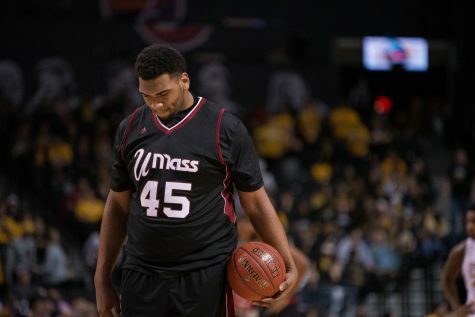 The win snaps UMass’ three-game losing streak, and is its first conference win of the season. 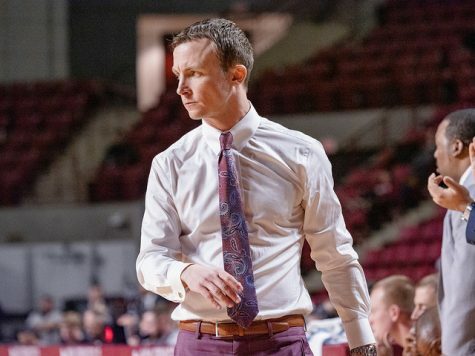 Minutemen coach Derek Kellogg was impressed with the effort his team showed against Dayton (12-4, 3-1 A-10). 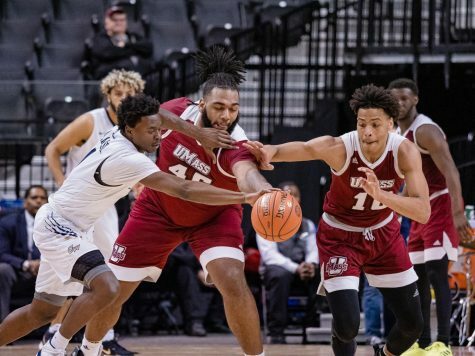 UMass was well aware of the importance of picking up a win in this crucial A-10 game against a top-tier team in the conference. The Minutemen were paced offensively by strong play from a trio of players. Pipkins led the team with a game-high 17 points, followed by Rashaan Holloway with 14 and DeJon Jarreau with 13. 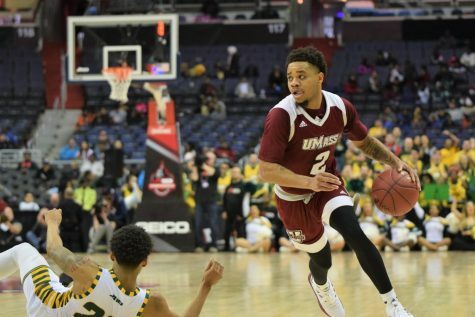 The play of Pipkins and Jarreau has been a positive sign for UMass early in the season and both contributed in more than just the point column Wednesday night. The 5-foot-11 Pipkins racked up four rebounds and remained strong on the defensive end with a pair of steals. Jarreau was arguably even more impactful for the Minutemen with seven rebounds, six assists and a career-high three blocks. 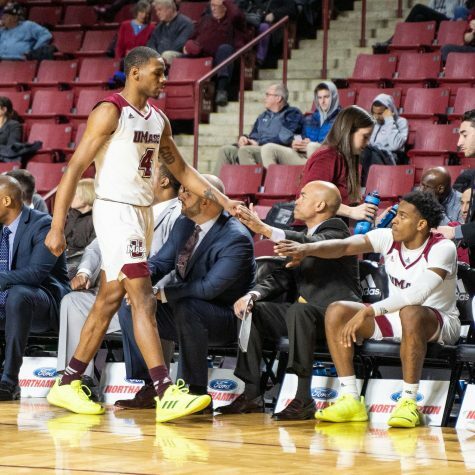 Holloway knows having the young guys playing in stride will be critical for the long-term success of UMass, and was happy to see them bounce back from subpar performances against the Rams. Holloway posed a matchup problem for the Flyers throughout the contest as he finished tied for the team-high with seven rebounds. Dayton’s largest player who saw action, Xeyrius Williams, was just 6-foot-8, a full three inches shorter then Holloway. Flyers coach Archie Miller recognized that his team struggled to slow down the 6-foot-11 Holloway Wednesday night. The Minutemen used that advantage in the post to outrebound Dayton 44-37 and held the advantage in points in the paint 32-20. The Flyers did get a strong performance from guard Kyle Davis, who scored 16 points and had five rebounds. Guard Scoochie Smith was held to nine points in 25 minutes of play. He played just eight minutes in the first half due to foul trouble. 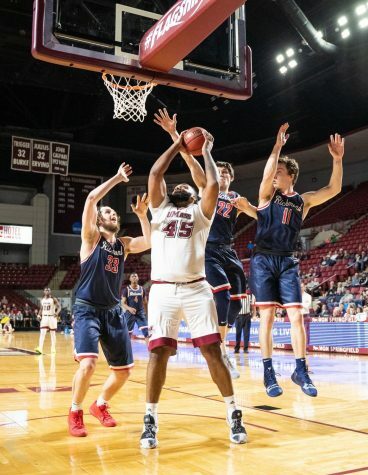 Neither team was particularly strong from the free throw line Wednesday as UMass shot just 11-for-23 from the charity stripe and Dayton had a 13-for-22 mark. 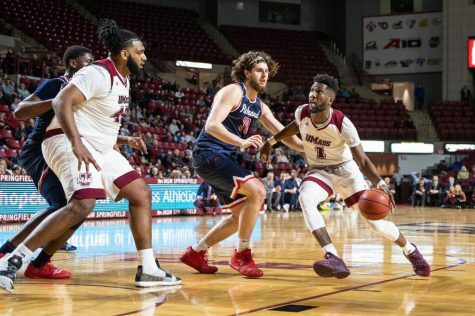 The Minutemen will look to build upon this upset victory as they travel to take on Rhode Island (10-5, 2-1 A-10) Sunday afternoon in Kingston, Rhode Island. Adam Aucoin can be reached at [email protected] and followed on Twitter @aaucoin34.